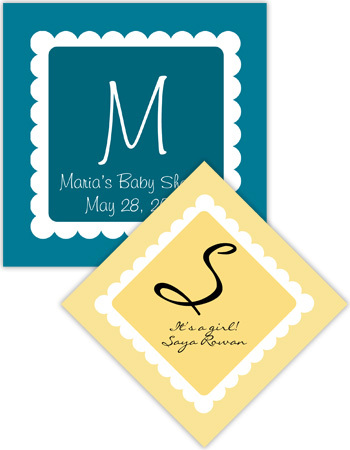 When you have the baby shower surprise your guests by setting their drinks on coasters you created just for the special event. 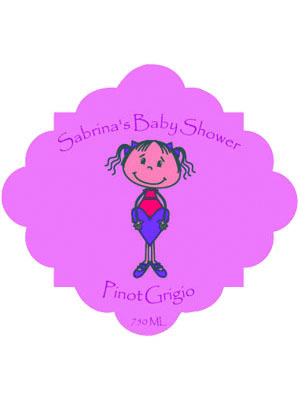 Hand your guests water bottles customized with a baby design. 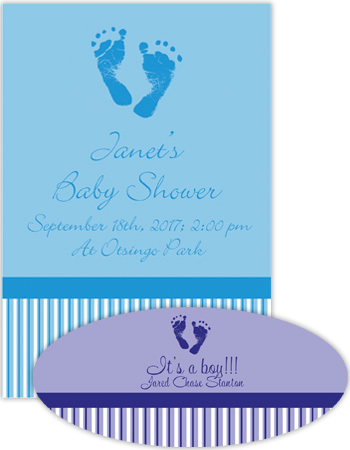 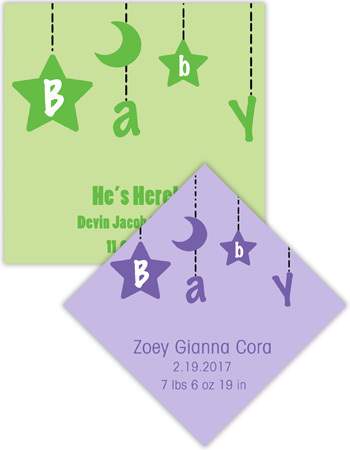 As party favors, you can custom create your own gift bags with our bag toppers and then pack the favor in a customized baby box. 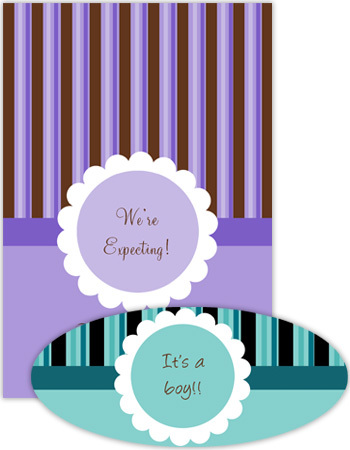 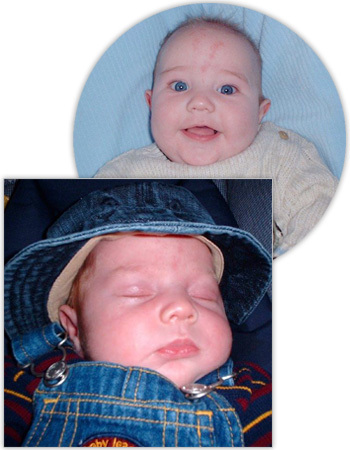 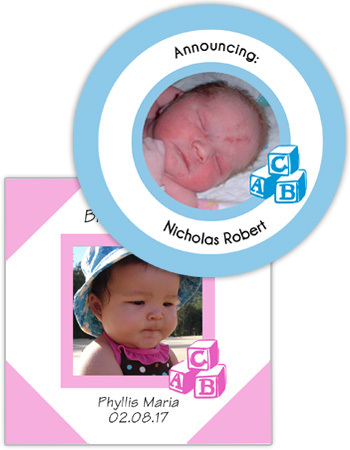 You can even create your own baby CD and DVD labels. 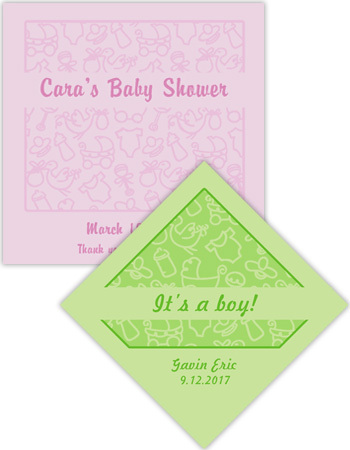 After the baby shower, to show your appreciating, send your guests custom designed thank you cards with a picture of the new born baby. 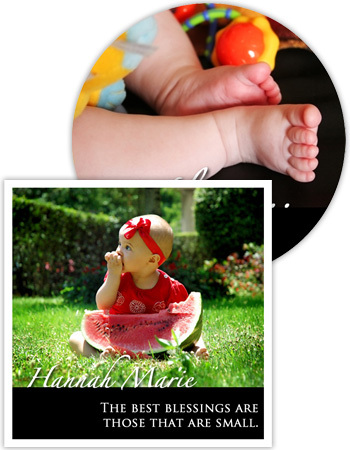 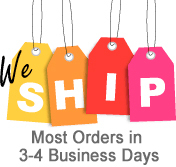 With 1000s of design possibilities we know that you will find something to suit your needs on our site. 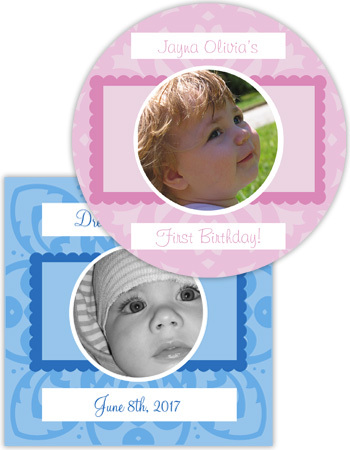 Simply select any label that you see and you can change size and shape. 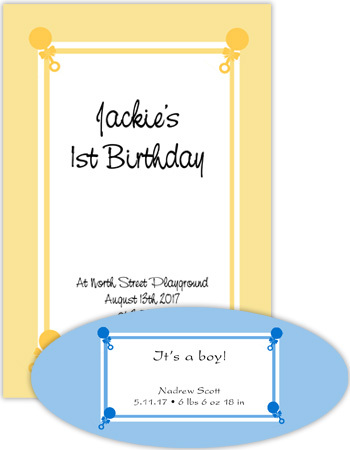 You can add your own text and select from a wide variety of fonts. 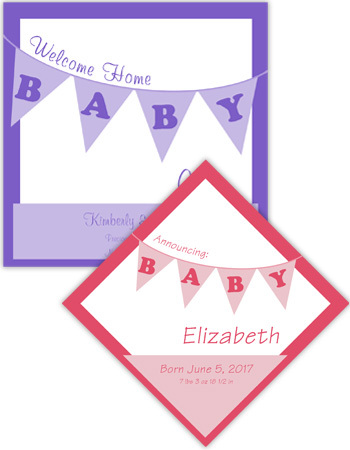 The labels are broken down so you can choose your own unique color combination. 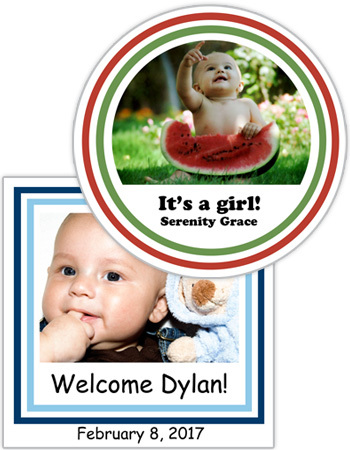 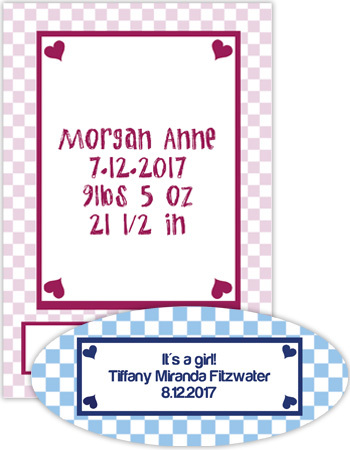 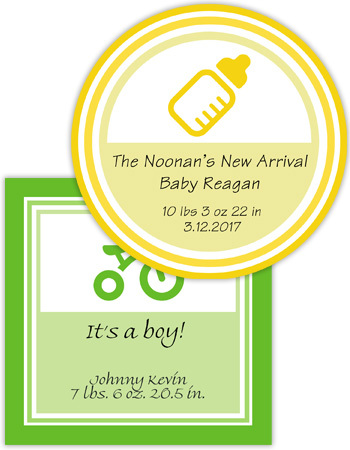 With our instant preview and design you will know exactly what your baby labels, boxes, cigar labels, bottle labels and custom baby hang tags will look like.